This website features the activities of the Central Carolina Fashion Doll Club (CCFDC) based in Raleigh, North Carolina. We are a group of Barbie doll collectors. Members are referred to as Pink Heels. In addition to local members, we also have associate members located throughout the US and international members as well. This year we celebrate our tenth anniversary. Our Mattel recognized club began in 2009 and our first major activity was to celebrate Barbie's 50th birthday in March 2009. We believe in giving back and do annual donation projects of dolls and other toys to local charities and hosted our first community exhibit in 2013. Club activities are held in the Raleigh area. We hope this site will provide useful information about Barbie dolls and related doll activities. Please use the Contact Us form to submit any questions. 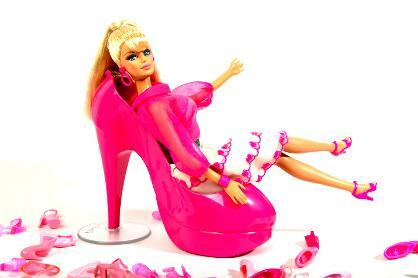 Barbie is a copyright of Mattel, Inc. This website is not connected with Mattel, Inc. and is run by collectors who are posting their own content.